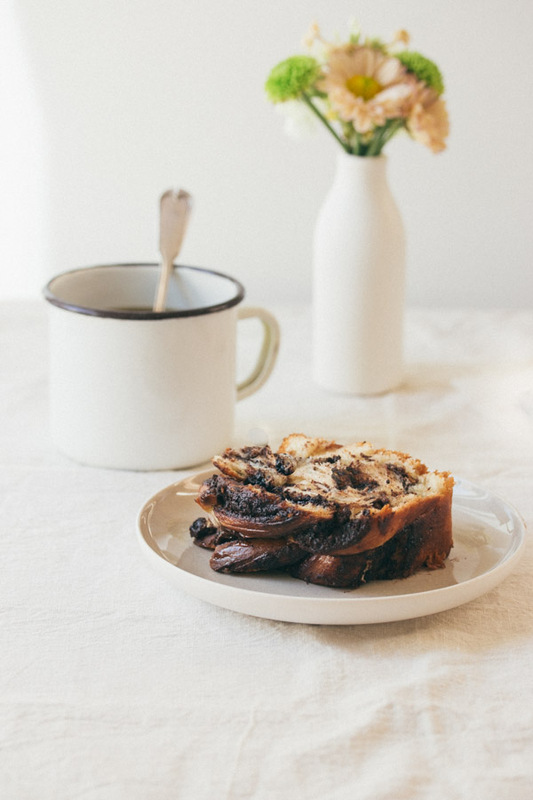 The Best Chocolate Babka Recipe | Pretty. Simple. Sweet. Chocolate Babka is made of a rich brioche dough and a chocolate filling. This babka recipe always feels homey, warm, and comforting. It’s super delicious and an all-time favorite in our home! Thanks to my Jewish heritage, I was introduced to babka as soon as my first teeth came in. You may be asking yourself what babka is. Well, it’s a traditional cake my mom makes for special occasions – always in bulk and with a variety of different fillings. It’s made of a rich brioche dough with a cinnamon or chocolate filling. 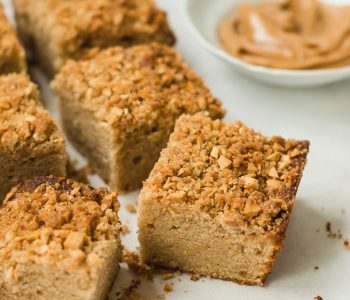 Sometimes they’re topped with streusel. In Israel, there are so many variations of this cake, and they’re always so scrumptious and rich. I know one recipe that uses croissant dough instead of brioche, and another that’s loaded with so much white, milk, and dark chocolate that after just one piece, you feel like passing out. Except for me. I’ll take another piece, please. When it comes to babka, I’ve mainly used 2 recipes my entire life (i.e., the last 5 years); one is rich, and the other is richer. If you know me by now, you can guess which one I’ve been making more. But I decided it’s time to try a few more, just to make sure you’re getting the best. The recipe may look complicated but it’s easy once you get the hang of it. After comparing a ridiculous amount of recipes, first by ingredients and quantities, and then by actually baking a few, my heart was set on one. The funny thing is, it’s almost identical to the one I usually make. This wonderful recipe is taken from the cookbook Jerusalem by Yotam Ottolenghi and Sami Tamimi. If you’d like to treat yourself to a new unique cookbook, I would highly recommend this one. It’s filled with amazing recipes and heartfelt stories that take you on a diverse culinary journey. Usually, when I want to follow a recipe, I end up making so many changes that it turns into a completely different recipe than the original. This time though, I had a good feeling about it, so I decided to follow the recipe as-is. The result? Perfection. Although it’s possible to leave the dough at room temperature for the first rise, it’s highly recommended to place it in the fridge for at least 8 hours so it sets properly and is easy to work with. Mine rolled out so smoothly and beautifully after refrigeration that I wanted to keep playing with it forever! After you roll the dough and spread the chocolate over it, it’s time to shape it into a traditional babka. Here are a few of my shooting attempts of the process to help you understand how it’s done. Sometimes, to make things simple, I will use a chocolate spread such as Nutella instead of making the filling myself. You can do the same if you prefer. The sugar syrup not only makes the cake shiny and beautiful, but also keeps it fresh for longer. Speaking of freshness, as with bread, this cake will start drying out after 24 hours, but the good news is that it freezes well. Instead of water, you can use milk or a combination of water and milk. You can add a bit of cinnamon, 1/4 to 1 teaspoon, to the chocolate filling. While some like babka because of the dough, to me it’s all about the filling, so the more chocolate, the better. That’s why I added a combination of chocolate chips and chunks on top of the filling for extra flavor and texture. Omit it if you prefer a subtler, not-too-sweet cake. If the chocolate filling becomes firm, warm it up a bit in the microwave or over low heat. Don’t use it hot, though, since it can warm the dough and cause it to melt. Made of a rich brioche dough and a chocolate filling, this babka always feels homey, warm, and comforting. An all-time favorite in our home! Making the dough: Place flour, sugar, yeast, and lemon zest in a standing mixer fitted with the dough hook and mix on low speed until combined. Add eggs and water, and mix on medium speed until dough comes together, 2-3 minutes. Add salt, then butter, adding a few cubes at a time, mixing until incorporated. Continue mixing for about 10 minutes on medium speed, until dough is completely smooth, elastic, shiny, and pulls away from the sides of the bowl. During mixing, you will need to scrape down the sides of the bowl. Place dough in a large bowl brushed with oil, cover with plastic wrap, and leave in the fridge for at least half a day or overnight. Grease two 2¼-lb/1kg loaf pans (9x4 inch/23x10 cm) with oil and line the bottom of each pan with waxed paper. Divide dough in half and keep one half covered in the fridge. Making the filling: Whisk together powdered sugar, cocoa powder, chocolate, and butter until you have a spreadable paste. Roll out dough on a lightly floured surface and shape into a rectangle measuring 15x11 inches (38x28 cm). Position dough so that a long side is closest to you. 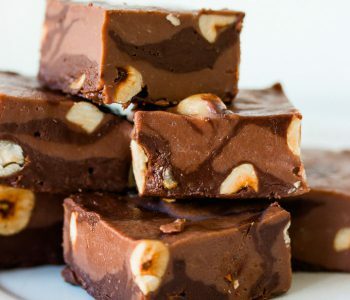 Using an offset spatula, spread half of the chocolate mixture over the rectangle, leaving a ¾ inch/2 cm border all around. Sprinkle half of the pecans or chocolate chips on top of the chocolate. Shaping the dough (photos here): Use both hands to roll up the rectangle like a roulade, starting from the long side closest to you and ending at the other long end. Press to seal the dampened end onto the roulade, then use both hands to even out the roll into a perfect thick cigar. Rest the cigar on its seam. Trim about ¾ inch/2 cm off both ends of the roulade with a serrated knife. Then use the knife to gently cut the roll in half lengthwise, starting at the top and finishing at the seam, essentially dividing the log into two long even halves, with the layers of dough and filling visible along the length of both halves. With the cut sides facing up, gently press together one end of each half, then lift the right half over the left half. Repeat this process, but this time lifting the left half over the right, to create a simple two-pronged plait. Gently squeeze together the other ends so that you are left with the two halves, intertwined, showing the filling on top. Carefully lift the cake into a loaf pan. Don’t worry if there are gaps in the pan since the cake will rise and will eventually look fine, even if you feel like it’s messy at this point. Cover the pan loosely with plastic wrap or a wet tea towel and leave to rise in a warm place for 1 to 1½ hours. Repeat to make the second cake. Preheat oven to 375°F/190°C, making sure to allow plenty of time for it to heat fully before the cakes have finished rising. 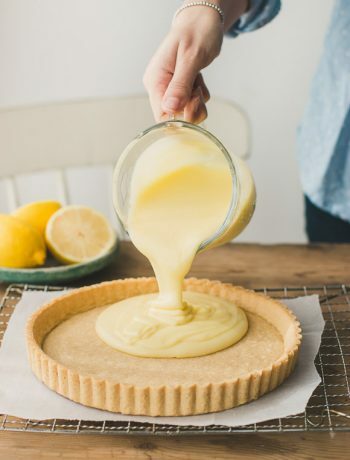 Remove plastic wrap or tea towels, place cakes on middle rack of oven, and bake for about 25-30 minutes, until a skewer inserted into the center comes out clean with no dough attached. While the cakes are in the oven, make the syrup. In a small saucepan over medium heat, bring water and sugar to a boil. As soon as the sugar dissolves, remove from heat and set aside to cool. As soon as the cakes come out of the oven, brush the syrup over them. Use all of the syrup, even if it looks a lot. Let cakes cool until they are warm, then remove from pans and let cool completely before serving. Serve warm or at room temperature. Babka will stay fresh for 24 hours in an airtight container at room temperature. Don’t place in the fridge. Babka freezes well for up to 2 months. To thaw, leave on counter or overnight in the fridge. 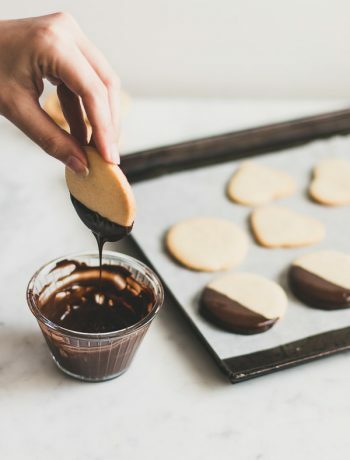 * To melt butter and chocolate, place them in a heat-proof bowl, and heat in the microwave in 20 second-intervals, stirring in between each interval, until melted and smooth (or alternatively, set it over a saucepan of simmering water, stirring occasionally). Recipe adapted from: Jerusalem: A Cookbook by Yotam Ottolenghi and Sami Tamimi. This looks amazing but I’d love the recipe for the croissant dough, since I love that flaky buttery kind of dough! Thank you Elisa 🙂 The one with the croissant dough that I’ve mentioned is from a local bakery, I don’t make it myself at home, but you can use any dough recipe for this! FYI: If anyone is wondering about using dry active yeast instead of instant, it works great without proofing because of the high sugar content of the dough 🙂 I made it this way, and it turned out beautifully! Thank you so much Karen! One of my family’s favorite fillings is butterscotch and shredded coconut if you like to try it! Hi Steph! After you bake the babka, let it cool completely to room temperature, then wrap it well and freeze. Just made this, cut it into it asap and it came out amazing-so delicious. I didn’t use the simple syrup on the top and it came out great, just a little more rustic looking! Next time I think I’ll add more chocolate though, or play around with the braiding as I was looking for a little more chocolate incorporated throughout the loaf. Thank you for sharing, Kara! To be honest, I also prefer it with more chocolate, but it’s just a matter of preference 🙂 And by the way, the syrup keeps the bread juicy. I’m glad you enjoyed it! Do you have a French toast casserole recipe using chocolate babka? Here’s my recipe for bread pudding and you can use it as an inspiration. You can omit the pecans and skip caramelizing the top. You may also want to reduce the amount of sugar if the babka is very sweet. Do you have a recipe for a Cinnamon Babka? It’s been 3 years. Are you going to post it? Your Chocolate Babka is awesome! How many hours does the dough need to be in the fridge before it is ready to use. It says a 1/2 day. Is that 12 hrs? Is there a first rise for the dough missing from the recipe? There is a first rise for the dough, and it’s in the recipe at step (2). The dough is placed in the fridge to rise, or you can leave it at room temperature if you prefer, until it doubles in size. The dough would be easier to work with after refrigeration. That’s exactly what I thought. First recipe I tried never mentioned refrigeration and I was unhappy with the dough consistency there. This all makes sense. Will try your recipe next. I should have commented on this post a long time ago! I adore this recipe!!! I have probably made 30-something Babkas since discovering your post. The dough is perfect and the step-by-step instructions make it so simple to understand the proper way to slice and braid the dough. I’ve done both chocolate and cinnamon fillings and gotten rave reviews. No matter what filling I try, this will always be my base recipe for the dough! It makes the most perfect gift. Thank you so much for sharing this recipe!!! So…. 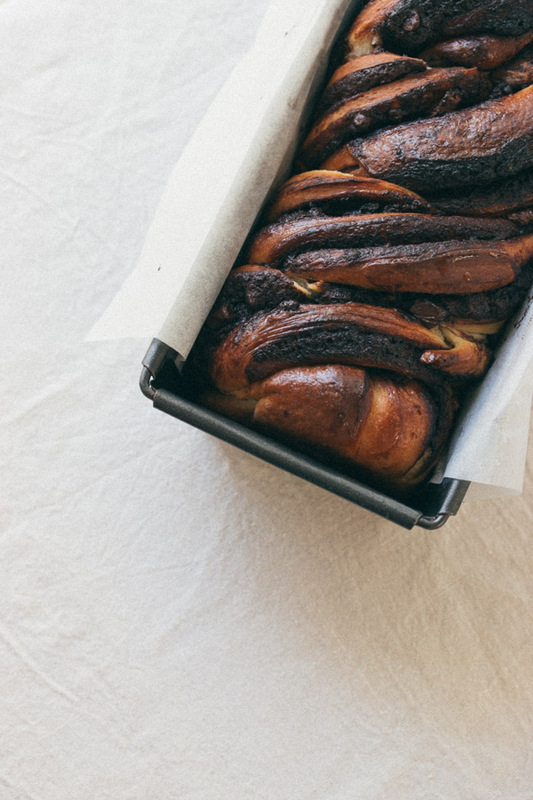 have you developed the cinnamon version of babka yet? We cinnaholics are anxiously awaiting its arrival. 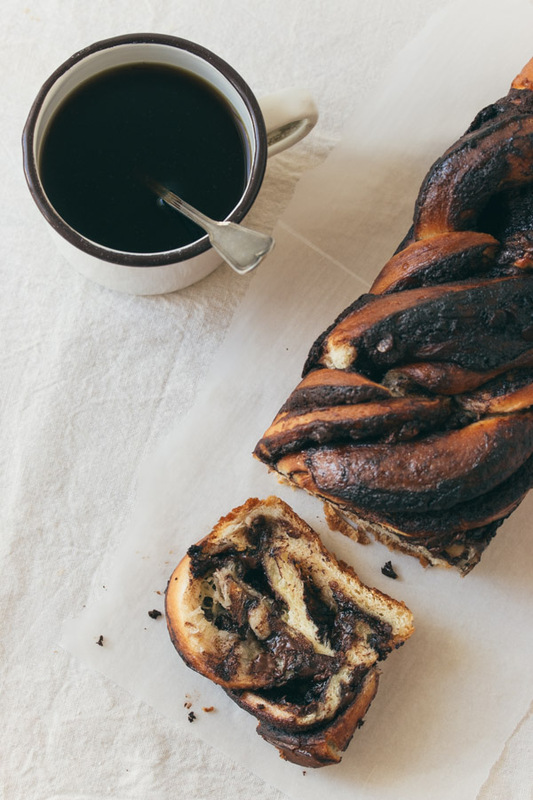 This chocolate babka looks amazing !! What can be the subsitute for eggs in this recipe ?? Thank you, Pavana. Unfortunately, the eggs are necessary for this recipe. Hi, I was so pleased with your babka recipe. I baked 2 cakes, 1 exactly like yours ,pictured with the reciepe. the other I made into pinwheel s and baked it in a tube pan. They were delicious and looked so professional. it really enhanced our Sukkot holiday. Thank you. Sarah K.
That’s so wonderful to hear Sarah, thank you so much, and I hope you had a great holiday! Can i subsitite margarine for butter? 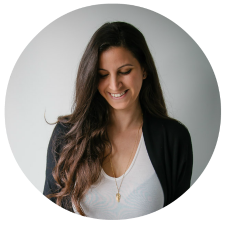 Hi Esther, are you looking for a dairy free recipe? In that case, I prefer using oil than margarine, but the recipe I use is slightly different than this one. You can contact me via email or Facebook and I’ll give you the details. Im so grateful for this recipe. Ive been searching for the perfect recipe which combines the beautifully textured dough and yummy chocolate filling. Today will prob be my 10th time making it since i found it! Thank you for sharing your tradition and talent. This babka looks great, even from seeing the photos, I feel tempted to fetch one and enjoy it with my morning coffee. Thank you for the shaping tutorial. 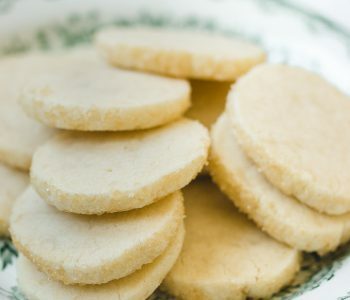 I had to share this with you… On Saturday morning I got up very early, my children and my husband were still asleep and and I felt an urge to bake something. I chose to bake your chocolate Babka to eat with the morning coffee. The whole house was filled with the smell of yeast cake with chocolate that made everyone wake up. There was not a crumb left. I don’t have time to let the dough rise in the refrigerator over night, or even for a few hours. What would happen if I skip that step and continue on? Hi Gabby, it’s possible to leave the dough at room temperature, but I recommended to place it in the fridge so it sets properly and is easy to work with. Otherwise it can be soft. If you don’t place it in the fridge, you’ll need at least 1-2 hours for each rise, or the dough will be dense and not airy as it should be. Hi Catherine, I’m so glad you like it! I’ve never had babka with fresh fruit before so I’m not sure. 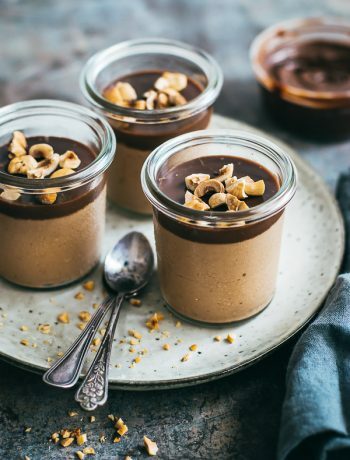 Popular fillings are Nutella, halva spread, cookie butter spread, cinnamon-sugar filling (similar to my cinnamon rolls/cinnamon swirl bread recipe) or pastry cream with dried fruit or chocolate chips. Planning to try this recipe soon. Will it work well with whole wheat flour instead of all purpose flour? I haven’t tried it but my guess is that it will be too dense. 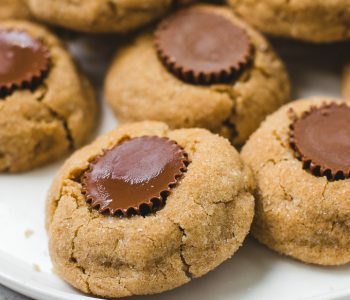 The flavor won’t be the same, but if you still want to try it, I recommend using half all-purpose flour and half whole wheat flour. Do you think the dough will still bake well if I bake one loaf now (Sunday) and save half of the dough in the fridge to bake the second loaf on Thursday? Hi Whitney, a dough will last up to 3 days in the refrigerator, so I suggest to bake the loaf now and freeze it, then rewarm in the oven, or thaw in the fridge or at room temperature before serving. It will taste good. Hello! This looks amazing and can’t wait to try it myself. Now I was hoping to somehow make this recipe dairy-free and saw you had suggested using oil instead of margarine/dairy free butter? Would you mind sharing more information with me? Looking to hopefully make it this upcoming weekend! Hi Antoinette, you can use oil instead of butter. I haven’t tried this recipe using oil so I don’t know the exact amount. You can use 1/2 to 2/3 cup neutral oil (such as canola), and if the dough is dry you can add more water. 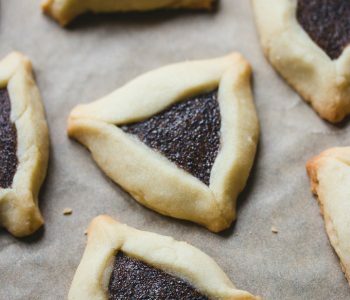 Hi Shiran, I recently developed an interest in bread making and really want to try out this recipe as it combines two of my favourite things, chocolate and brioche. However, I do not have a dough hook for my handheld electric mixer. Is there any way I can mix the ingredients by hand? It’s possible to knead almost any kind of dough by hand, but brioche is more soft and sticky so it will be harder. If you still want to try it, you can search for some examples on youtube. Can I freeze the dough ahead if time and then take it out when I want to make the babka? This came out great even on my first try. Made 12 using a 6 strand braid as give aways for Christmas. Wish I could post pictures (find them on my Instagram thresi_ramapuram). Thank you for the excellent recipe with such detailed instructions & tips Shoranur! Merry Christmas & wish you a blessed 2019. Hi Shiran, I’m planning on making this but was wondering how long is ‘too long’ to leave dough in the fridge. If I left in for 16-18 hours will that impact the dough at all? Thank you! I have am planning to try this recipe and the reviews are so postive. If I have a successful outcome, I may change out some of my xmas tea breads and try making mini loaves. Hi, sounds delicious! Can i freeze the babkas raw? If yes do i freeze before final rising stage or after? Thanks! I like to bake the cakes and then freeze. Then bring to room temperature or rewarm in the oven, and they would taste fresh. Hi! I have tried this recipe twice and both times it came out underdone in the middle. Both times I left the dough overnight in the fridge before rolling it out and let it proof on the counter before placing it in the oven. The second proof did not seem to increase the dough size very much (if at all). Could this have contributed to the underdone middle? What else could I be doing wrong? Even with a doughy center, it’s still delicious! Hi Hanna, I’m guessing it needs more baking time? Try to bake it for longer next time, and if the top is browning too much, cover the pan loosely with aluminium foil. Made this today. One loaf with the optional chocolate chips and one without. Amazing and so much fun to make! Thanks for the recipe and video. This recipe is fabulous! The directions were easy to follow and the loaves turned out beautifully. So worth it! Thank you!